Image Size 12 x 10.5 in. James Kirkpatrick is known for his participation in the early Canadian graffiti movement and as an avant-garde hip-hop artist, Thesis Sahib. 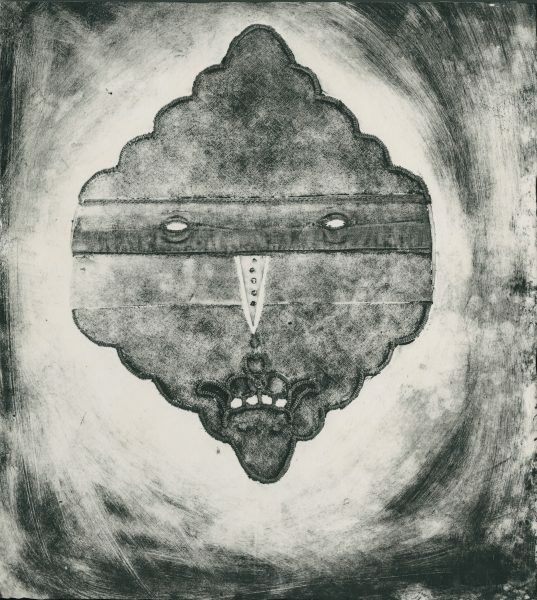 This early painting is influenced by Kirkpatrick’s interest in mask-making, textiles, graffiti and mysticism.